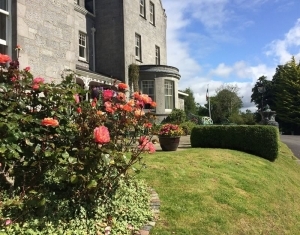 Park Hotel Kenmare, a little magic in the Kingdom of Kerry awaits your arrival this Spring to enjoy our Irish hospitality in beautiful surrounding and luxurious accommodation. Our overnight rate includes our award winning Full Irish Breakfast, complimentary Wi-Fi internet access and parking. Rates include VAT and accommodation for up to two adults. The promotion cannot be combined with other offers.